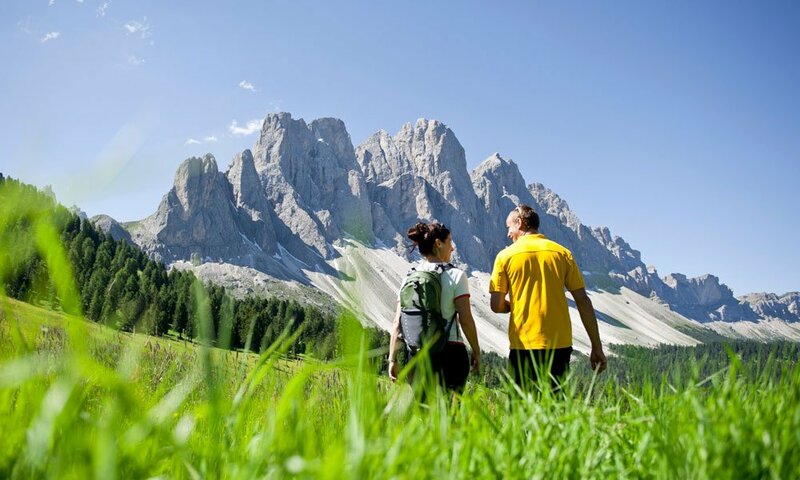 At the farm Proihof, you may spend a romantic and unforgettable holiday in the Dolomites with your loved one. In the quiet ambience of our house you may concentrate fully on your partner and indulge in activities that you generally don’t have time for in your everyday life. You may discover the region climbing, hiking or biking or share an alpine adventure on the high ropes. Our senior host Sepp will be happy to accompany you on your first walks through the region. We all know – the way to a man’s heart is through his stomach. Thus, the local restaurateurs regularly offer culinary surprises for lovers. After a hearty meal and a short walk back to the farm Proihof, you can end your exciting day sharing a good glass of wine with your partner. 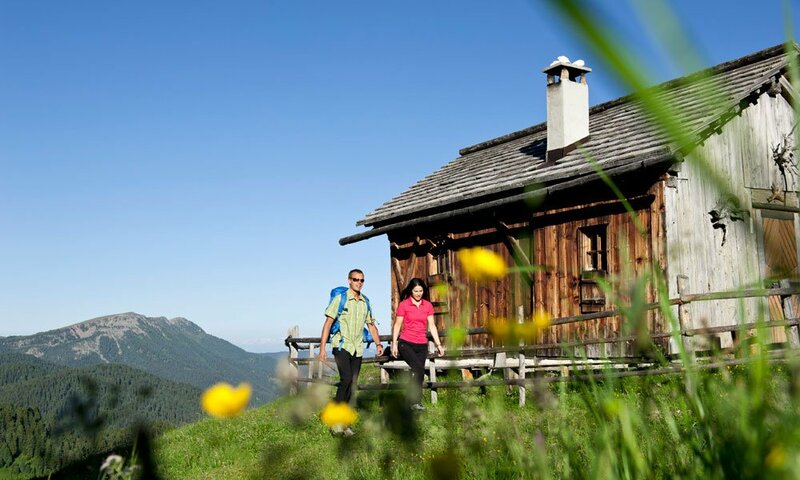 Especially in the summer months, the surrounding mountains offer the perfect ambience. From the bench in front of the barn, you may enjoy a perfect view of the alpenglow and the rising of the moon between the Odle Peaks.